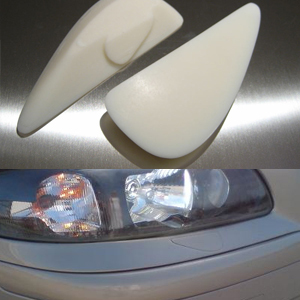 Clean up the front end of your Volvo with our headlight wiper plug cover. to install the wiper motor will have to be removed. The cover is affixed using double sided tape. Includes both left and right hand plug covers. **Note: To install these wiper plugs, the wiper motor must be removed.